9 modern housekeeping cabins on Spirit Lake with plenty of shade. Good fishing lake. Boats and motors to rent. Sandy beach. Open from May to October 1. No pets. 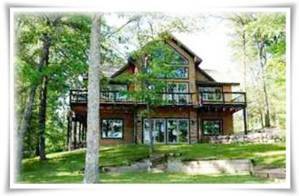 Visit Findvacationrentals.com to search for, select, and book Aitkin Minnesota today! Hundreds of properties available for online booking in Aitkin Minnesota today! Interested in More Aitkin, Minnesota? Check out nearby Annandale , Battle Lake, Birchwood, Garrison, Grand Rapids, Haugen , Park Rapids.